The fashion world’s collective jaw dropped last week when Gucci — long a label with instincts to break the mold and a love for boundary-pushing — dropped its latest campaign, in support of its Autumn/Winter 2017 collection. 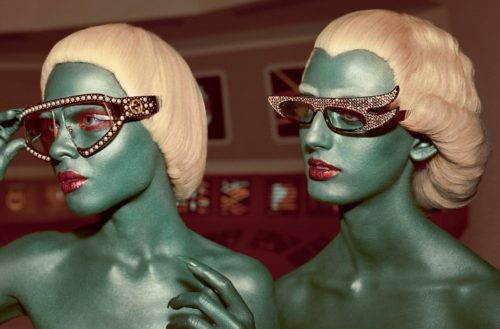 Not only was the campaign itself “out of this world” (literally, as it takes its visuals cues from beloved memories of ’60s sci-fi) but in addition to the still photos we’ll be seeing in magazines for months to come, the Gucci campaign also consists of a video directed by photographer and film director Glen Luchford — a move that’s most assuredly not the norm. With a battle cry like that, building from scratch a bunch of Gucci-approved ’60s sci-fi monsters in a period of two weeks — no big deal, right? “Two weeks of sleepless nights,” Altuna says, to the shock of no one. The campaign is chock-full of ’60s-era references — despite an opening titles sequence that lifts from ’70s franchise Star Wars — including Star Trek, Land of the Lost and Lost in Space. One reference I hadn’t caught myself that is now very much apparent, thanks to Altuna, is a certain 1968 film starring Jane Fonda. The monster that closely resembles the Creature from the Black Lagoon proved to be quite a feat, in particular. The famed monster of Universal’s horror movies if of course intellectual property of the movie studio, meaning Gucci’s sea monster had to be created from scratch — and with a short deadline, Altuna says he and his team were the only ones who could have delivered. An elaborate process of clay molds, latex and paint — akin to what you’d find on Face Off — Altuna and his team (consisting of fellow costume designer Kyle Kupres, special effects makeup artist Chloe Sense) ended up with a green, scaly creature worthy of a film of his own, thanks to a lot of hard work. “We had a few assistants, but it was pretty much the three of us that really put the whole thing together,” Altuna says. Many of the creatures created by Altuna and his team were designed with accompanying costumes in mind. 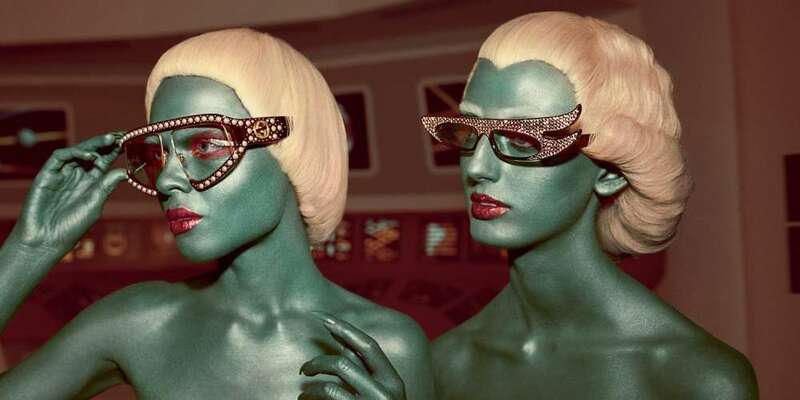 Costumes that unfortunately (but not surprisingly) had to be shelved in order to feature — what else? — the latest Gucci collection. Most exciting of all, Altuna says we can expect a few Gucci monsters to emerge in photos that haven’t been seen just yet. These days Altuna is caught in a whirlwind of work. His homebase, Shoppe DTLA, has proven to be a diamond in the rough for manufacturing — a one-stop shop for everything from costumes to celebrities’ jewelry lines. With every machine known to man, Altuna has access to CO2 laser cutters, 3-D printers, digital pattern engravers and the like — all in his private workspace. Altuna’s next few projects — an upcoming TV series for Amazon, as well as work for a certain hotel heiress who once exhausted the tabloid headlines — are currently still under the radar. But the L.A. local can’t hold back his excitement for the recent unveiling of the A/W ’17 Gucci campaign. The dazzled critical response to Altuna’s batch of ’60s sci-fi monsters most definitely makes up for a few weeks of sleepless nights.